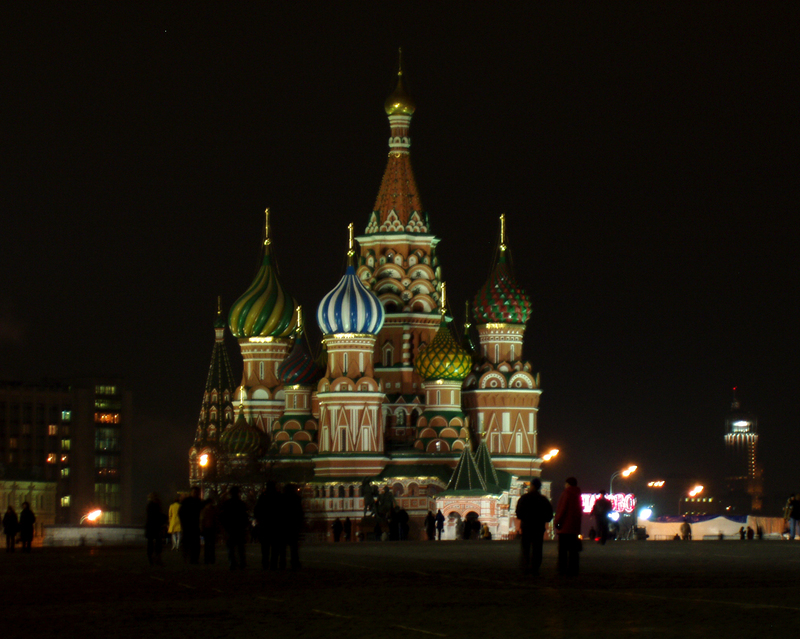 In November I went on a business trip to Russia. The purpose of the trip was to visit with scientists from a few labs and discuss progress on research that Sandia is funding. We were in Russia for about a week and a half and had some time on the weekend to go site seeing. I have divided the pictures into three groups: Red Square, Moscow, and Tomsk (a town we visited in Siberia). 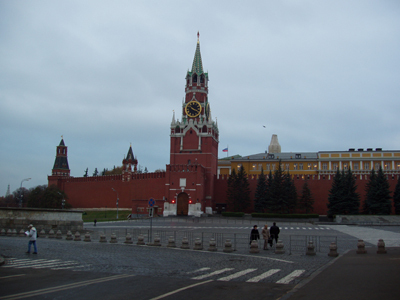 The Kremlin borders Red Square along the south west side (one of the long sides). 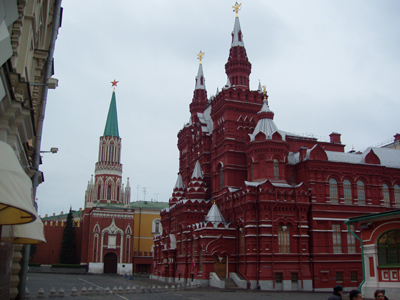 The Kremlin is surrounded by a tall red brick wall with about 20 watch towers and is the home of government buildings, old cathedrals, and a few other things. 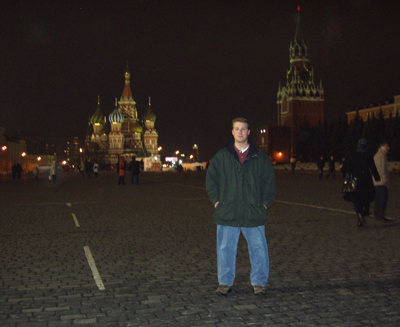 It was hard to believe that I was actually standing in the middle of Red Square. Something I never dreamed I would do. St. Basil's Cathedral is at the south east end of Red Square. 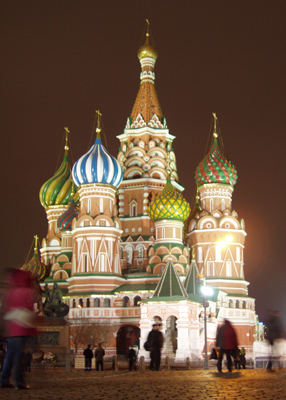 At the north west end of Red Square is this large red church. 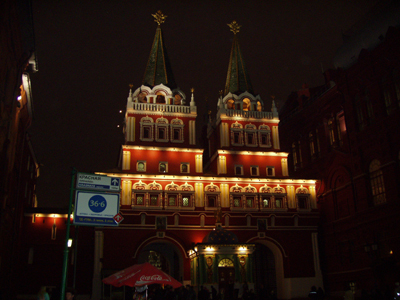 Beside the red church is this entrance to Red Square. I was told that it was destroyed by the communists, and later rebuilt. 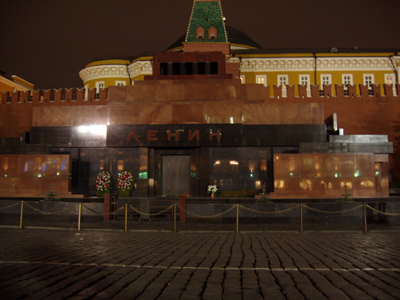 Lenin's tomb is on the south west side. 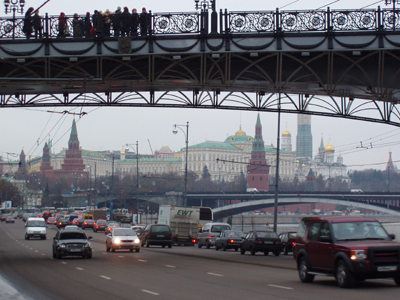 The Kremlin wall is in the background. It is open a few hours a day for tours. 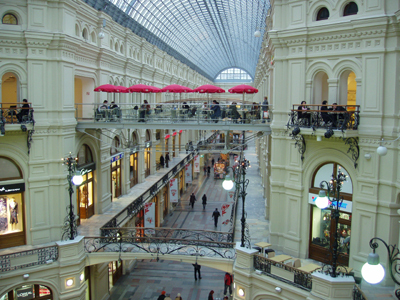 On the north east side of Red Square is this huge mall. This is one of three long hallways each of which is three stories tall. 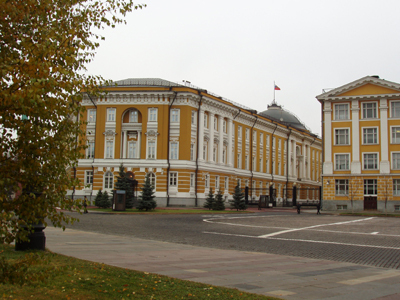 This building is inside the Kremlin and houses Pres. Putin's offices. View of the Kremlin from beside the Moscow river.